The only actors that pretty much appear in the 2013 sci-fi release Gravity, are George Clooney and Sandra Bullock. They share top billing but in the end this is Bullock's show. She gives a stunning and seething performance as Dr. Ryan Stone, a Mission Specialist who gets caught in a violent (outer atmosphere) debris storm that destroys her shuttle and sends her floating into space. 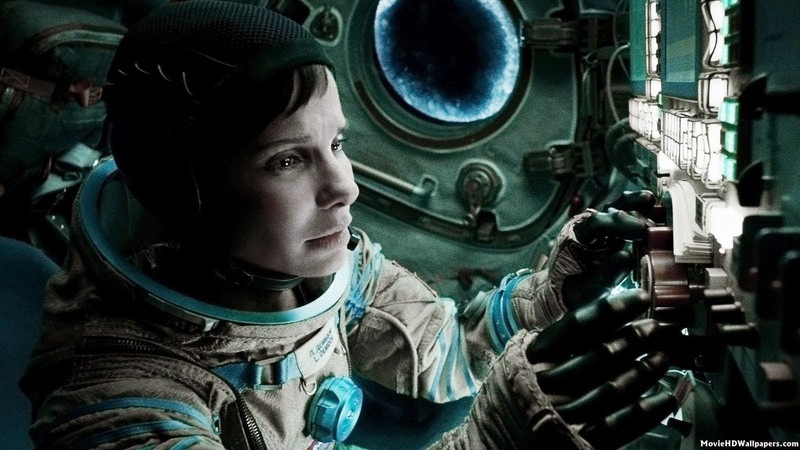 With the help of astronaut Matt Kowalski (played by George Clooney), she is brought back to safety (by way of a tether) and the two of them must find a way to get back to Earth. They have limited resources (the rest of the crew are dead and Stone's oxygen pack is waning) and can't get any type of radio transmission. This is basically the set up for the rest of the proceedings. 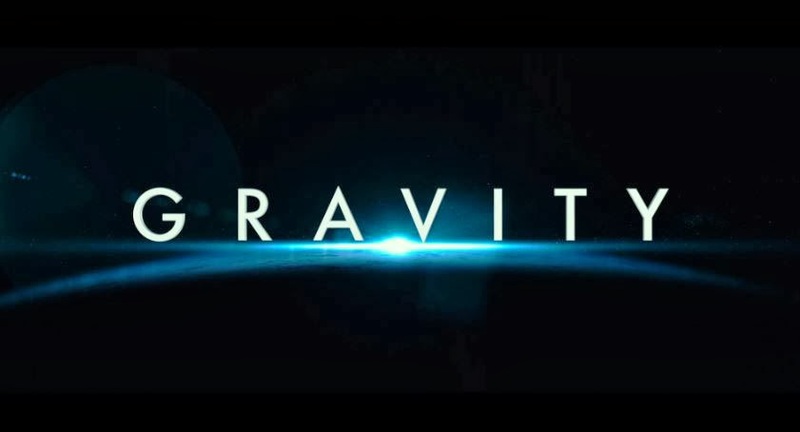 My overall view: Gravity is pretty good but not great. From the opening shot, right away it feels like the director is teasing you with a teeny tiny homage to 2001: A Space Odyssey (a space shuttle floats across the faraway landscape of the planet Earth). That's where the comparisons end. This film hints at Kubrick's masterpiece (there's a close-up of Bullock's eyes that channel Keir Dullea with his space helmet on) and it seeks to bring the terror like say, the 1979 gem Alien. But alas, Gravity lacks the eerie beauty displayed in "Odyssey" and the nightmarish posture that possessed Ridley Scott's celebrated marvel. Yes, the characters in this flick are in a lot of danger and extreme peril. However, their plights did not shake me. I didn't experience fear with them. Being lost in space is I guess, terrifying. But it's hard to pull off. 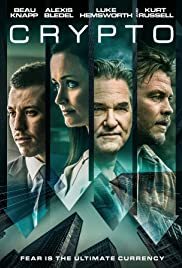 Open Water, a movie that has nothing to do with sci-fi but carries a similar theme, is a superior thriller that has two characters stranded in a body of water with no land in sight. The fact that they might be eaten by sharks is something that shook me to the core. I didn't get the same vibe with Gravity. I don't think it's the filmmakers fault. This is a picture that is stunning to look at and it has that feeling you get when you think to yourself, "how the heck did they make this." I give credit to director Alfonso Cuarón for using the same technique that he perfected in Children of Men (2006). He excels at getting the camera to closely follow every action of the characters (it stays right next to them) while at the same time, having the destruction and chaos occur around them and at close proximity. Honestly, if there is one major flaw that seeps into this vehicle's veins, it would be this: a lot of the dangerous situations that Bullock and Clooney (more Bullock than Clooney) get into are the plot devices this thing throws in to keep things afloat (ha ha) or moving (they wander into another space station and there is a fire. Bullock's character tries to get home in an escape pod and it's out of fuel. They come into more contact with debris etc, etc...). And then there's the ending that kinda winks at Ron Howard's Apollo 13. Again, Gravity is a good film. But it's not the masterpiece that most critics make it out to be. I see some good things happening with this picture though. It should get some technical nods come awards time. And I think Bullock deserves a nomination from the Academy (completely different from her performance in The Blind Side, but still terrific in its own right). But is it Best Picture material? Not in my book. Gravity is no doubt an effective way to kill an hour and a half. This movie has a look and a feel like nothing you've ever seen before. But as something that stays with you long after the curtain closes, I feel it doesn't quite hold much weight.